A maintaining Beard Butter to condition, maintain and moisturise beard and skin. Best used on a damp beard straight out the shower. Barber Shop has a refreshing masculine scent with hints of lavender, tea tree, and peppermint. – Contains Cocoa and Shea Butter to nourish and moisturise. 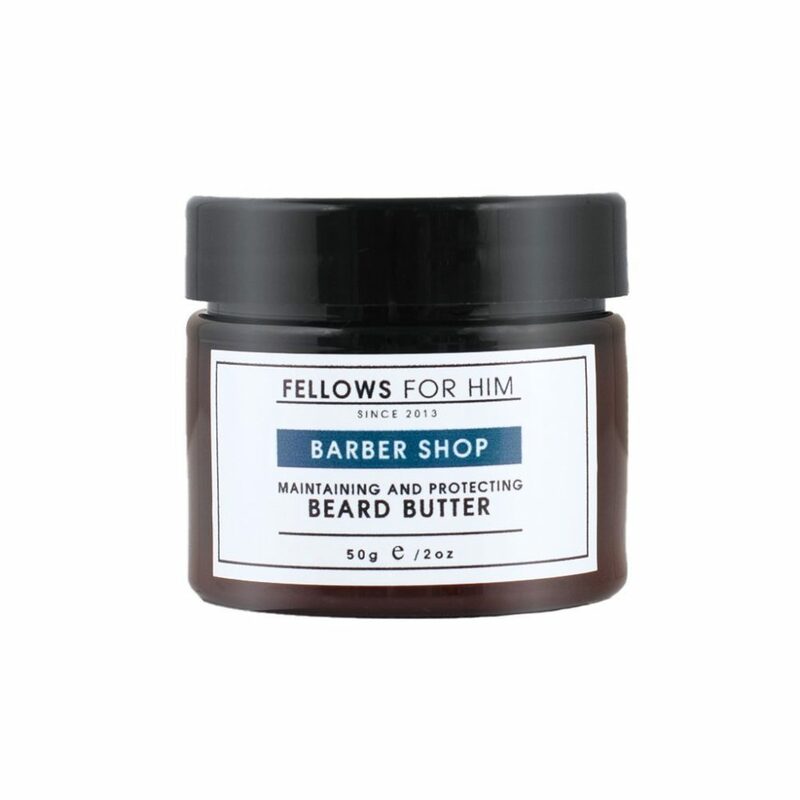 Ingredients: Butyrospermum Parkii Fruit Butter, Elaeis Guineensis Oil, Cera Alba, Cocos Nucifera Oil, Theobroma Cacoa, Prunus Dulcis Oil, Simmondsia Chinensis Seed Oil, Ricinus Communis Seed Oil, Argania Spinsosa Oil, Parfum, Lavandula Angustifolia Flower Oil, Melaleuca Alternifolia Leaf Oil, Mentha Piperita Oil.